300 g (1 oz) of berries, like raspberry or strawberry. Frozen is fine. Let the gelatin soak in cold water. Simmer the berries in the 3 dl (1 cup) water for 15-20 minutes. Put the soaked gelatin, sugar and lemon juice into a bowl. Strain the berry and water mixture so the juice ends up in the bowl with sugar, etc. If the gel has to be completely transparent, you can sieve the juice through cheesecloth or a wet cloth of some other sort. Stir everything until the sugar and gelatin is dissolved. Allow it to cool to room temperature (about 2 hours) before using it for decorating cakes, and then put it into the refrigerator. The longer it is in the refrigerator, the more solid it becomes. If you want to put it into molds, you can just put it directly in the refrigerator. 1 danish sheet of gelatin is 1.8 g. Which a little more than 1/20 of an oz. 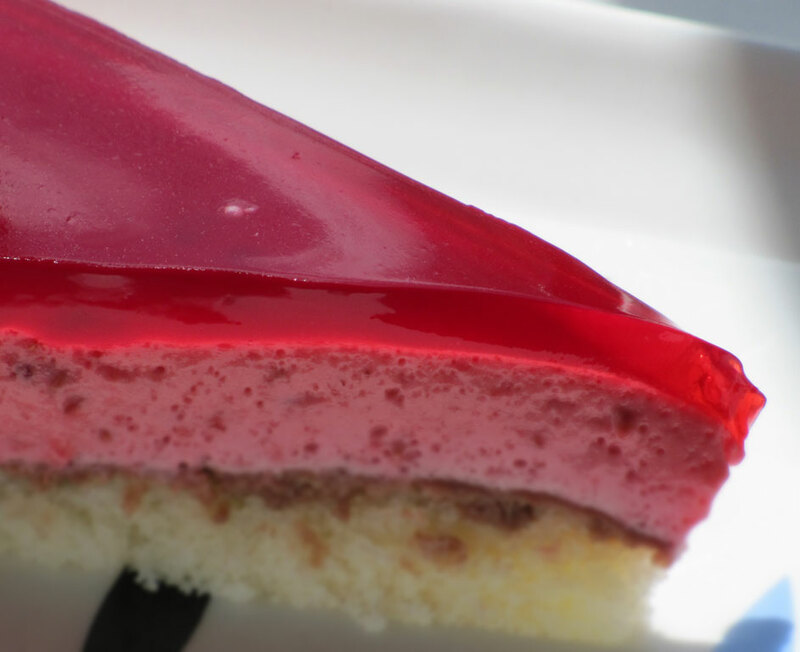 The "principle of jelly" is that 100 g (3.5 oz) of berries to 1 gelatin leaf, makes 1 dl jelly. Sugar you have to mix to taste. It is different every time even with the same kind of fruit. approx. 1 tablespoon sugar per 1 dl (½ cup) juice is a useful rule of thumb for most fruit. Sometimes you have to use as much as 2 tablespoons sugar per 1 dl (1 cup) juice. It is possible to use store bought juice. Most Jellies are better if you add some lemon to give it a little zing. For example, 1 teaspoon per 1 dl (½ cup) juice. You can not make jelly with juice from fresh kiwifruit or pineapple. They contain enzymes that destroys the gelling ability. So they must be cooked first to destroy the enzymes.